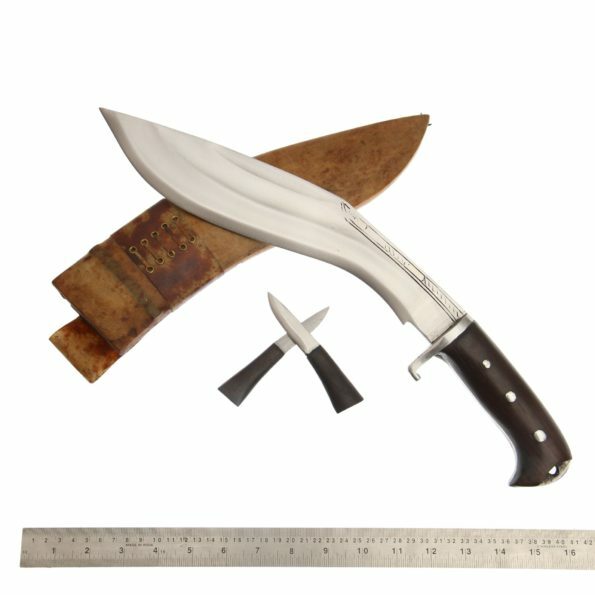 This is 12 Inch three chirras Kukri . 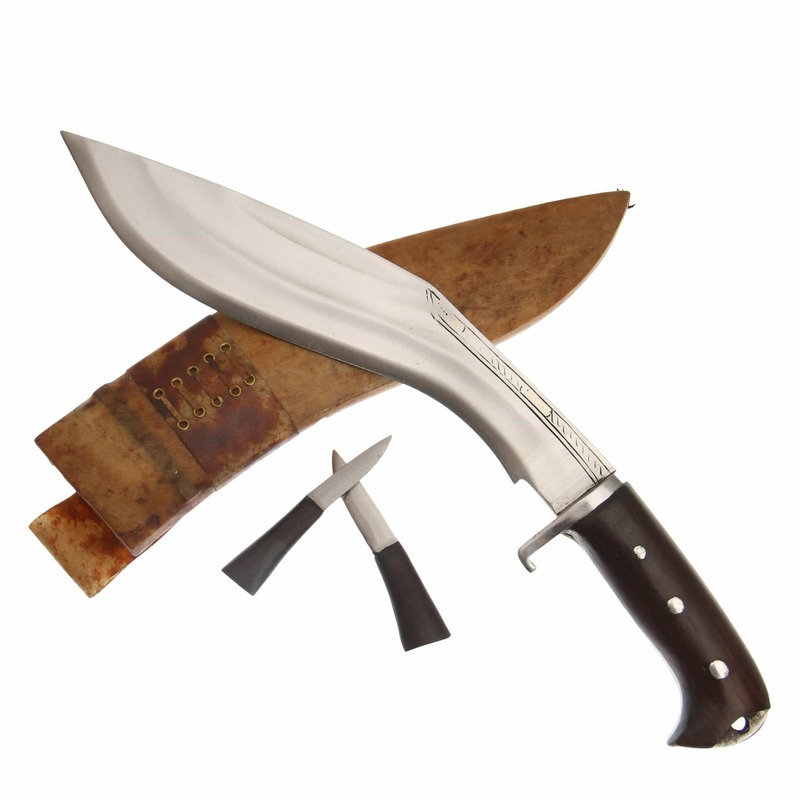 Three chirras kukri is one of the bestselling Kukri of FGKH. The blade is made up of highly graded carbon steel (Car and jeep leaf spring, 5160).The blade is 10 inch long semi polished blade, it’s a full tang blade with a Indian rosewood. The handle is 5 inch long made up of rosewood with two rivets and glue up together by traditional Nepali glue called Laha. The overall length is 17. inch. The Scabbard is made up of water buffalo leather. 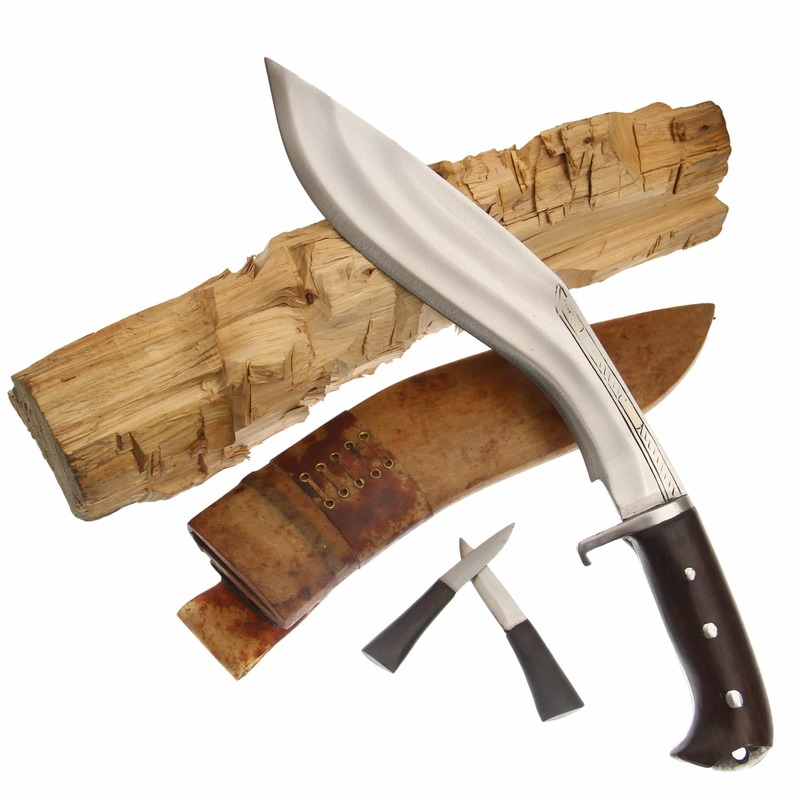 This Kukri can be used to chop wood cut meat. It can also be used as a trekkers knife as well. Blade Size and Type:12 Inches (30.5cm) Hand made, Highly Grade Carbon Steel,unpolished. Handle Size: 5 Inches (12.70cm) full tang handle made of Rose Wood. Overall length:17 inches ( 43.2 cm) from tip of the blade to pommel of the handle (Aprox).